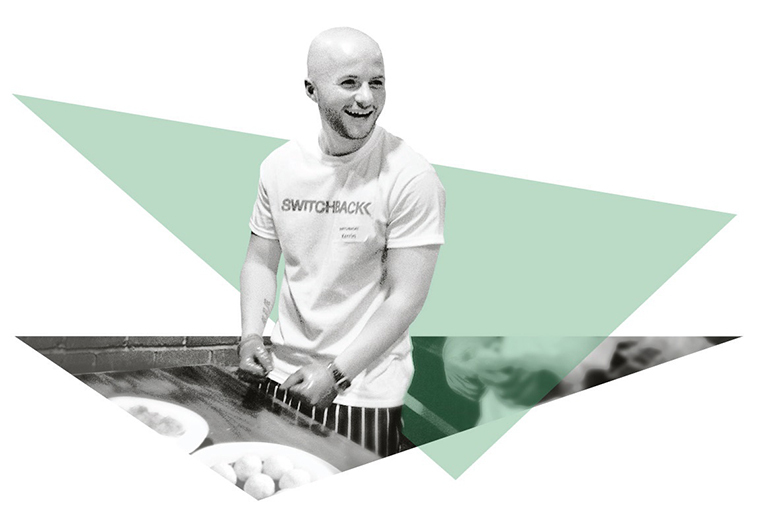 Switchback is a London-based prison rehabilitation charity which aims to make long-lasting changes for young male adult offenders upon their release from custody. This change is envisaged by Switchback as a three stage process. Firstly, a meaningful relationship is built up between a Switchback Mentor and a Trainee during the final 3 months of the Trainee's time in prison. As soon as the Trainee is released from custody, they start working in one of Switchback's partner training cafés, to experience and begin learning in a real working environment. Switchback Mentors are in contact with Trainees on a daily basis, helping them to make right choices, be reliable, and get any help that they may need, offering them encouragement in all areas of their lives. Finally, Switchback works with a wide variety of employers, organising mock interviews, visits, and work placements with them for its Trainees. In comparison to the national average of around 55%, the reoffending rate for Switchback Trainees stands at about 12%, and 70% of those Trainees who have been able to move on from Switchback have secured a permanent job. Switchback's 'Theory of Change' shows the relationship between what Switchback does and the outcomes for the Trainees, as well as how this helps them achieve their end goal. It is used by Mentors to guide activities for a Trainee, and also helps to measure the impact that Switchback has on wider society. The work undertaken by Switchback has allowed many Trainees to create real change in their lives. Lester had spent six of the previous eight years inside and it was clear that, as he approached his 30th birthday, this was an unrecoverable loss. Motivated by the strong desire for things to be different, Lester made the most of Switchback's wide network of opportunities, experiences and placements. He started real-work training in a café straight away on release. He proved himself reliable and was invited to visit a restaurant in Hackney. Impressed by his energy, they offered him work experience and after only a few days he was offered paid, ad-hoc work. 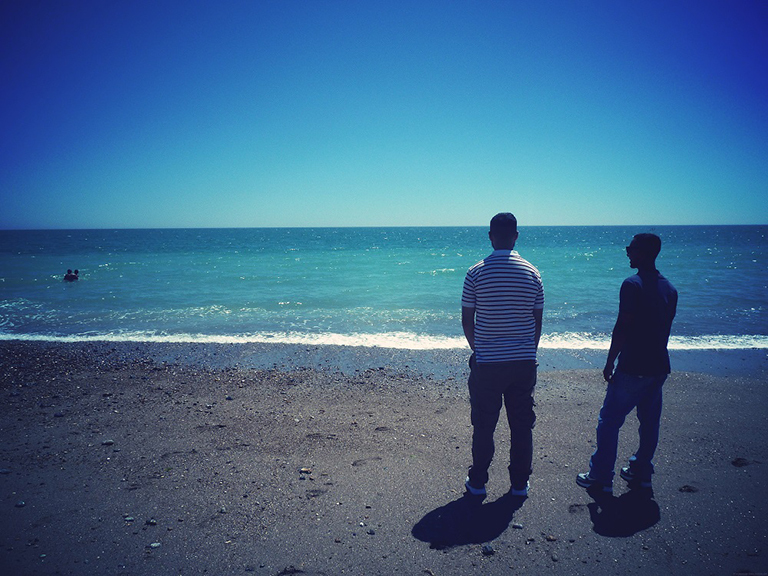 Together, he and his Switchback Mentor talked about future goals and set stepping stones that were realistic to reach. Lester has been working a demanding full-time role in a busy Spitalfields restaurant for 10 months and has been adjusting well to the next part of his life story. Kerrin was preparing for his tenth release from prison when he was referred to Switchback. He spoke openly to his Switchback Mentor about managing emotional stress poorly. Previously he had dealt with this stress by using drugs, but Kerrin knew that staying away from drugs and alcohol was imperative to staying out from prison. Kerrin was so reliable with all elements of Switchback that it was clear the change he needed to make didn't lie in improving reliability, time-keeping or employability skills. His change lay more in fostering a sense of self-worth, valuing himself enough to see the chaos and step aside from it. Helping Kerrin see each step at Switchback, each shift and each new experience attended as step away from previous patterns and building for the future assisted him to stay on track. After gaining experience as both a Junior Chef de Partie and a live-in chef in a Michelin star restaurant, Kerrin used his experience to get a job at a restaurant in his home town. He still has aspirations to one day work at a Michelin starred level, but is currently enjoying the stability offered to him by this slower approach, giving him meaningful family time and also giving him valuable experience to counter his criminal record for his future. If you'd like to know more about Switchback, contact details, as well as a link to their website, can be found in The Directory.